Target will help clean nearby park. 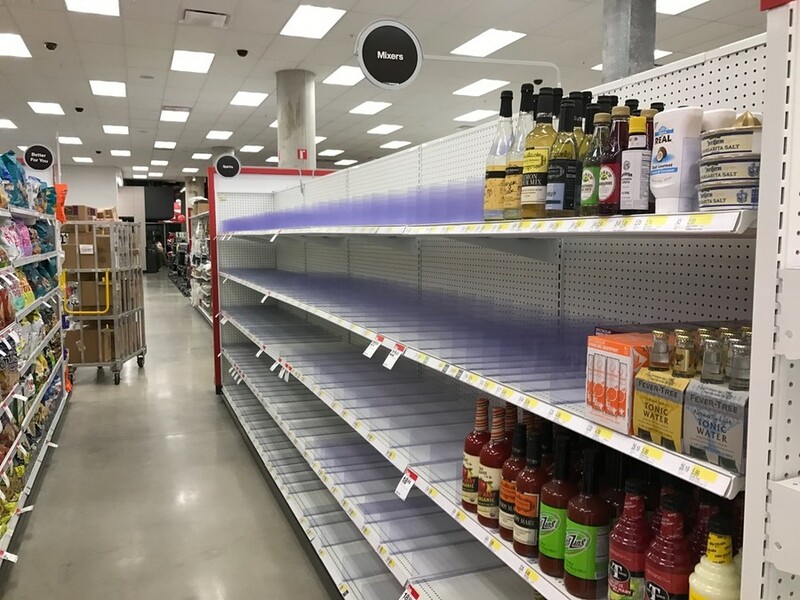 Target will be able to fill these pointedly empty shelves following the city’s decision to allow Target to sell alcohol on a limited schedule. The Target on 53rd Street will begin selling alcohol when it receives its first shipment from its supplier. A city commissioner approved Target’s application for a limited liquor license Friday. Fourth Ward Alderman Sophia King’s office e-mailed community members Friday with a plan of operation. After objections to Target’s application for a liquor license from both King and community members from groups like the Nichols Park Advisory Council (NPAC), Target will be able to sell alcohol during restricted hours. Liquor will be available for purchase from noon to 10 p.m. Monday through Friday, 10 a.m. to 11 p.m. on Saturdays, and 10 a.m. to 10 p.m. on Sundays. The plan of operation prohibits Target from selling any liquor products that are single-serving or cost less than $5. It also requires Target to work with the NPAC to help clean up Nichols Park. The revised plan is a result of a community meeting last Wednesday where community members and representatives of NPAC spoke to Target representatives and city liquor commissioner Maria Guerra Lapacek about their concerns. At the meeting, individuals raised concerns about Target’s proximity to Nichols Park and Murray Elementary School. Alderman Sophia King and the Nichols Park Advisory Council have been contesting the license application due to Target's proximity to Murray Elementary School and Nichols Park.